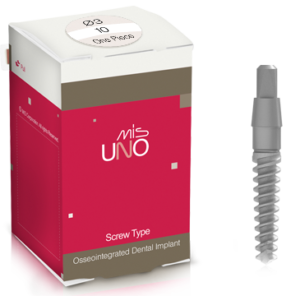 UNO is a one-piece implant dedicated to the narrow ridges (in front of the lower jaw) and in areas with limited space. 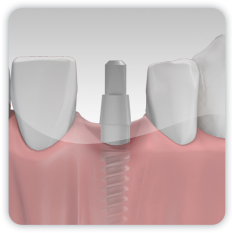 Abutment dimensions and height allow easy adjustment for a perfect fit with cemented crowns or bridges. 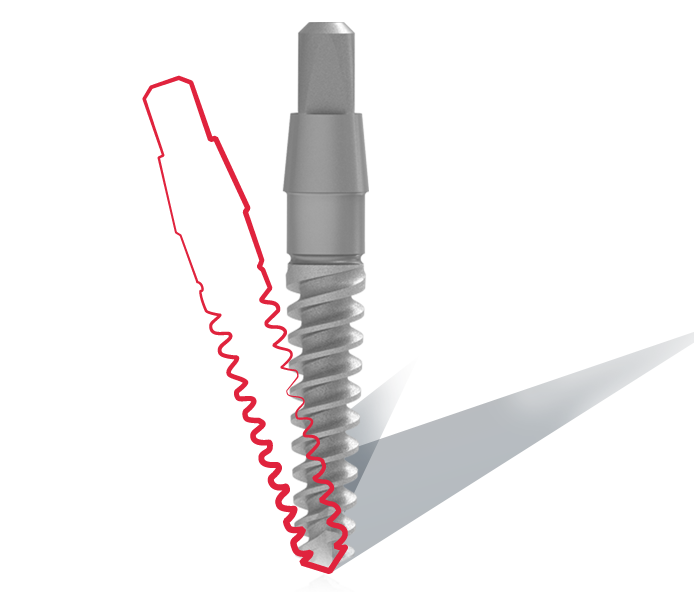 Sharp cutting apex: UNO features a sharp apex providing the implant with self-drilling properties. 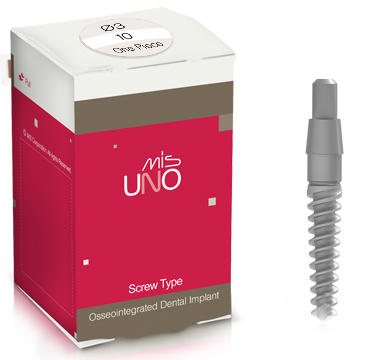 Two cutting blades at the implant’s apex, establish UNO’s self-tapping properties, supporting a simpler, safer and faster procedure. 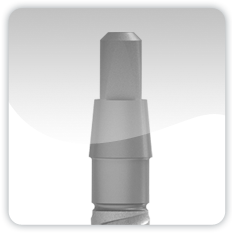 Cylindrical shape: With its cylindrical shape, UNO enables a good primary stability in immediate loading procedures. 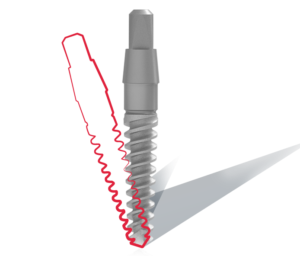 Thread design: UNO’s geometry is benefitted by a dual thread with a 2.00mm distance from pitch to pitch, ensuring a safe and rapid insertion. 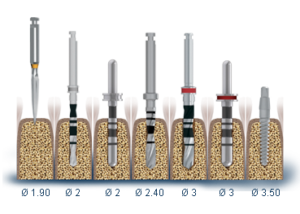 The thread’s depth is 0.6mm, contributing to the initial stability, crucial for its success. 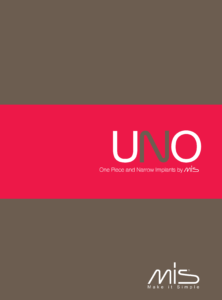 Neck characteristics: UNO’s neck is 2.70mm in height and coronal height of 6.30mm. 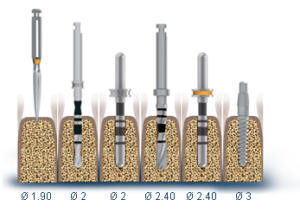 Surface treatment: UNO implants are sand-blasted and acid etched. 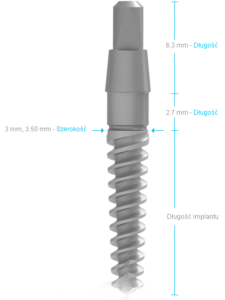 This surface treatment increases the implant’s surface area, by creating both micro and nano-structure and eliminates various surface contaminations. 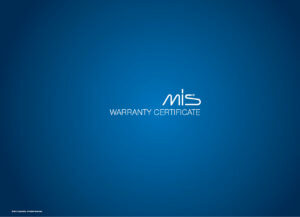 Along with a thorough cleaning process, the acid etching process ensures a high quality pure surface. 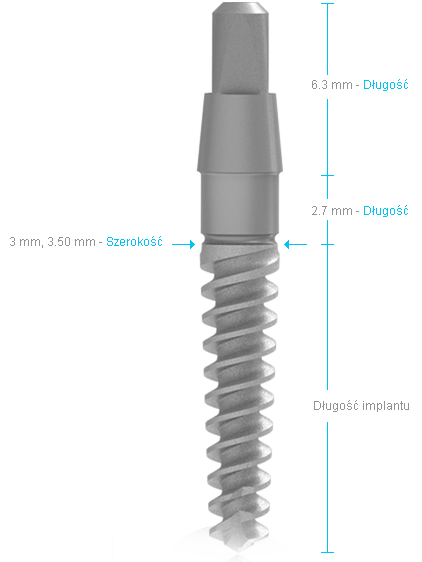 The combination between sand-blasting and acid etching has been substantially proven in numerous clinical and scientific studies, to maximize the BIC (Bone to Implant Contact) and create an osseoconductive morphology, achieving superb osseointegration results compared to other surface treatment methods. 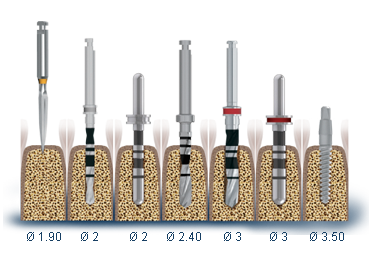 Nano-structure and eliminates various surface contaminations: Along with a thorough cleaning process, the acid etching process ensures a high quality pure surface. 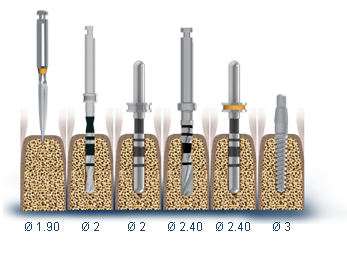 The combination between sand-blasting and acid etching has been substantially proven in numerous clinical and scientific studies, to maximize the BIC (Bone to Implant Contact) and create an osseoconductive morphology, achieving superb osseointegration results compared to other surface treatment methods.